Original Steib S 500 Sidecar. The S500, the darling of sidecars was made for motorcycles 400ccm and larger. Its typical rocket shaped body made from 8 steel plates trimmed in polished aluminum gives it a stylish flair. 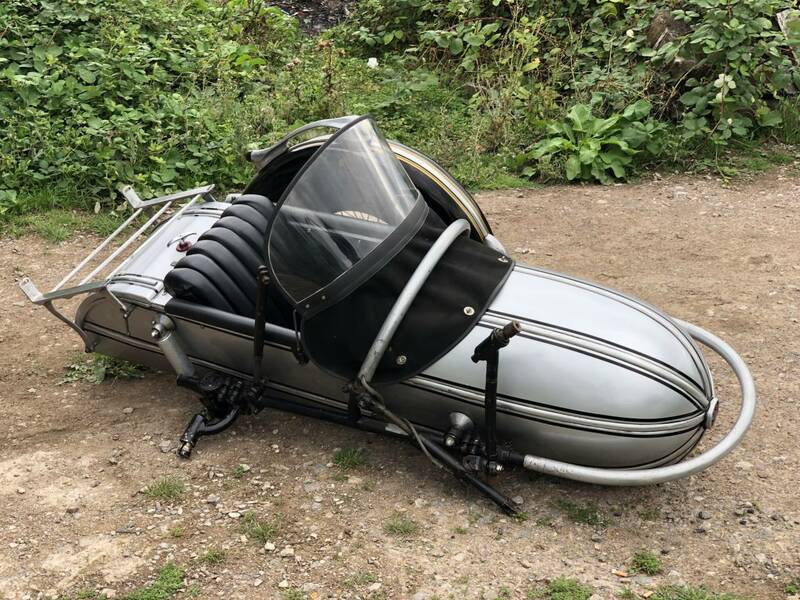 The boat with its roomy trunk space and adjustable spring suspension system makes it the perfect sidecar for long trips. 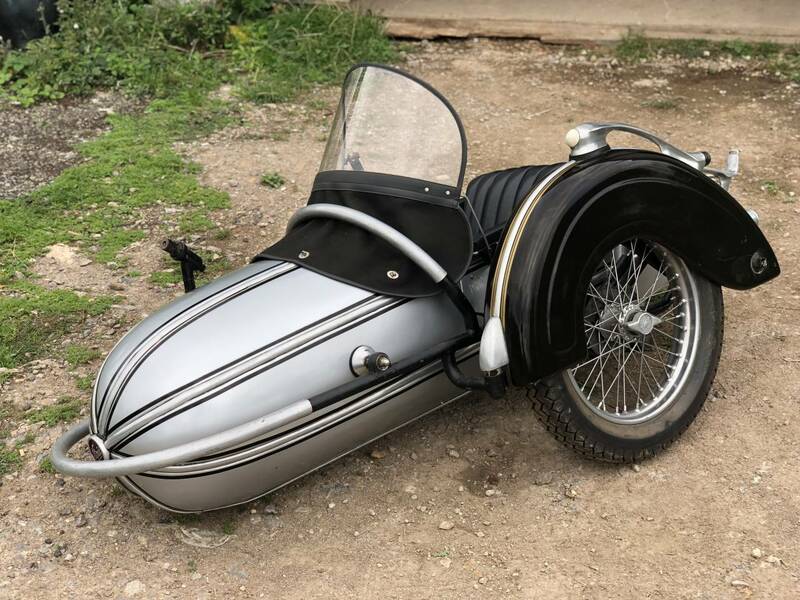 The seamless tube frame is embellished in front and on top with polished alluminum piping.The wheel is outfitted with a swing axel and rubber shock absorbers.